Enjoy a fantastic day with family and friends with a pontoon boat rental on beautiful Westlake the home of the Sandbanks Dunes. All Pontoon Boat rentals can be equiped with a BBQ for a fantastic way to spend time over at The Sandbanks Dunes with family and friends. The pontoon boat rentals are available for full day, half day and sunset cruise time slots. We have 4 different pontoon boats to choose from. Book early and online to hold your spot. Only a short drive from Toronto and Montreal. 1. Temporary Boating licence is required to rent a pontoon boat. We supply this for free! 2. Minimum age to rent a pontoon boat is 16 with valid picture driver’s license. 3. Reservations are highly recommended for pontoon boat rentals half days and full days. Please Book Online. 4. Payment by MasterCard, Visa, AMEX or cash. 5. Payment due in full for all reservations. 6. Damage deposit must be MasterCard, Visa, or American Express. 7. Customer is responsible for any and all damage to the pontoon boat and/or gear. We take a damage deposit, but the customer is responsible for the total value of the rental pontoon boat package and/or any gear lost. 8. Cancellations must be made at least 72 hours in advance to receive a full refund for the pontoon boat rental. 9. Dogs are allowed on our pontoon boats but the owners are responsible for any cleaning and/or damage. 10. Late charge -$100/half hour for boats brought in later than their rental time slot. 11. $75 cleaning charge minimum for any boats brought in unreasonably dirty. All garbage must be removed from the boat and placed properly in the appropriate recycling bins. 12. You cannot cancel a week’s rental because one day is going to rain. This does not include clouds, mist, or chance of a thunder storm. 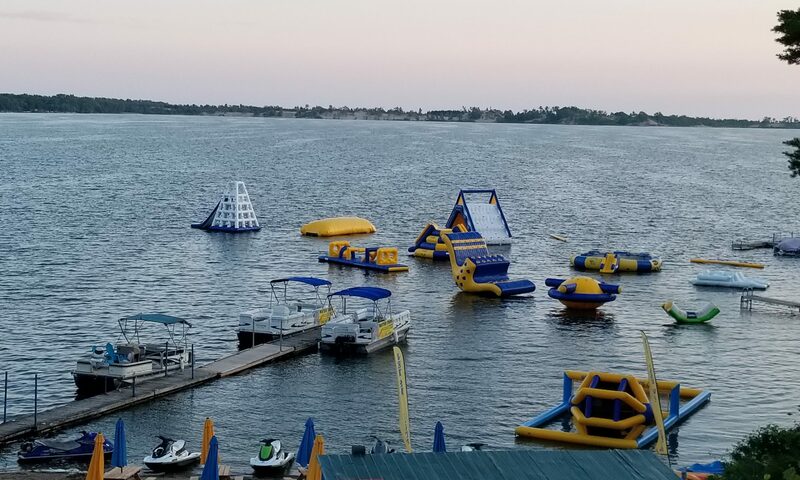 Westlake Watersports is very safety oriented and will work with our customers to provide a safe and enjoyable experience around spotty weather. 13. Damage deposit for a pontoon boat rental is $500.00 per boat.